Since its creation in 1963, the company became a key solution provider for the nursing care market, offering efficient services with high quality products. Since 2007, we successfully implemented ISO 9001 management quality system as well as ISO 14001 later in 2011. It provides us practical tools to control the environmental impact and constantly improve its performance. We therefore guaranty the quality of our products featured in this website, but we also provide continuous support for them.If you bought a product and discovered that it did not suit you; do not hesitate to give us a call, we will be more than enthusiastic to find a suitable solution for you ;Should you remain updated about our new product and services, please follow us on the social media network. ALBERT MASSAAD SARL also operates from a wide warehouse in Bauchrieh, where goods can be stored short or long term. 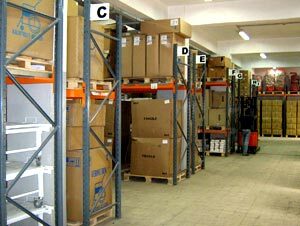 All goods are packed in strong and solid carton boxes and stored on wooden pallets, which provide great security to its contents. ALBERT MASSAAD S.A.R.L. puts at your disposal highly qualified and skilled after sales service technicians. Speed in answering queries, diagnosing, repairing but also preventing recurrence of problems, is at the heart of the Albert Massad SARL business culture. As such, we put in place a special system that allows us immediate, appropriate and reliable answering to customer queries at all times. At ALBERT MASSAAD S.A.R.L. we consider that understanding our customers is pivotal in offering a superior service. As such, we make sure that our service department has a regular and in depth discussion with our customers around issues that might occur. 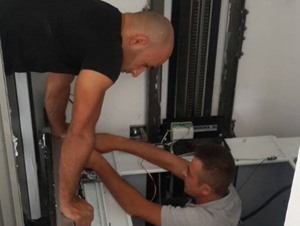 Our after sales service technicians are an integral part of our factory, and that makes finding the right solution an easy step, thus meeting and exceeding customer expectations. The ALBERT MASSAAD S.A.R.L. customer care center on the 03/577120 is available 24 hours a day, 365 days a year (only in Lebanon) to respond to customer inquiries regarding reparations. Finally, we always strive to maintain a highly efficient after sales service that provides customers with the utmost in care, peace of mind and trust.